I recommend Dr.Nathalie to anyone needing chiropractor care, she will make sure you get back on the right path to success. I have been coming to Dr. Beauchamp's chiropractic clinic on and off for the past 12 or more years. Every time I have managed to throw my back out she is the only one I trust to get me back on my feet. I love that she is upfront with what she feels the treatment sessions should entail. I only wish she was more central. But if it means getting up and running again I am willing to drive from Kanata to Orleans!! Go and see her for a consult and you will see her knowledge and professionalism for yourself. All of her staff are very professional and friendly as well. Dr. Nathalie have been helpinh my family for the last 3 years and I am so grateful for her. Her optimistic view of life is contagious and you cannot help but feel happy. Thank you! I cannot tell you how amazing Sante Chiropractic is. I spent over a year in physio within a few months at Sante I would finally say I had little to no pain. Highly recommend! Following surgery on my foot the hospital referred physiotherapist gave up and couldn't lessen my pain or improve my mobility. Dr. Maryse at Sante Chiropractic & Wellness Centre has worked on my foot and I can now walk 4 kms a day with my dog, something I missed doing for a year. No wait times, pleasant and encouraging staff, I'm now looking at other preventative treatments to improve my overall health, you owe yourself a visit to this team of professionals. Always feels amazing after my adjustments. Definitely recommend Dr Nathalie, she is always on top of her game and I love that she is a functional health practitioner. If you are looking for a wellness team, this is definitely the place for you! Very happy with my experience so far. I went in for migraines and I’ll be honest, I was scared as I never been to see a chiro before. Dr Beauchamp made me very comfortable. It’s only been three weeks but I already see a big difference. Love the online appointment booking, the staff is great and very friendly. I would definitely recommend this clinic to my friends and family. Love visiting Nathalie and her awesome team ! Been going there for well over so 3 years now. She helped my wife through her late pregnancy when she had hip pain, and also when our son was born and had severe colic until about 6 months old.. Always enjoy the positive attitude while the family gets an adjustment, and we've recommended her to a few of our friends as well.. I've always been a strong believer of Chiro, maybe because I also went when i was a child with my parents and was exposed to the benefits early on.. I go mostly for preventative measures now and always leave feeling refreshed.. Merci Nathalie ???????? Having known Natalie for over 20 years I can tell you she is hands down the best Chiro in the region. She’s also extremely knowledgeable when it comes nutrition also and fitness in general. She helped me out a lot when I fractured a vertebrae in my back due to a motorcycle accident. I highly recommend her to anyone trying to get some relief of pain with everyday living conditions that make it some days unbearable. She always takes the time to truly listen to your worries. Dr. Beauchamp is phenomenal! She’s able to find exactly where the pain is radiating from and fix it! She also always remembers who you are :) just the little things! Santé Chiropractic is friendly and professional helping me to stay on track with my health care objectives. Dr. Nathalie leads by example. Dr. Beauchamp is dedicated to keep you healthy. Dr. Nathalie Beauchamp is very good. She knows what she is doing. ? Having worked in the health and fitness industry for over 20 years I can honestly say that Dr Maryse is one of the best Chiro / physio that I have been fortunate enough to see. Go and see her If you are suffering from aches and pains you wont be sorry. Excellent chiropractic care. Dr. Nathalie is the best, plus you can get x-rays right next door. Great staff, they really take the time to know whats going on with you. There many services in house are great. Lovely owner, always a great smile on Nathalie. Amazing service - a complete holistic clinic for my health are needs. Chiropractic service is really helpingy with inflammation. I have complete trust in Dr. Nathalie Beauchamp, she has been my chiropractor for many years and with chiropractic treatments she resolved resolve many of my physical problems by myself including headaches....she also helped me find ways to improve my life quality in changing life habits...You have nothing to lose in going for a consultation. It can help you!!! Very happy with this location. My back is finally healed after a painful injury. Dr. Maryse (acupuncture) and Stephanie (Massage therapy) are excellent and I highly recommend them. Thank you for everything and I will be recommending you to everyone I know. All I can say is WOW! I sprained my ankle horribly back in September and had tried a few different things (physio, acupunture, medication for the swelling) to help the healing process. None of it seemed to work for me. After 5 months in AGONIZING pain, I finally listened to a friend who referred me to Dr. Beauchamp. Within 4 visits, the pain had decreased considerably, and I had gone from limping around to being able to jog on the treadmill. I'm extremely grateful to the team for making the healing process so accessible...You are AMAZING! Thank you! Dr. Nathalie Beauchamp was referred to me by my previous chiropractor after my move to Ottawa. I also asked around in my new workplace and two colleagues did not hesitate to name Dr. Beauchamp. She is professional, friendly and very knowledgeable. This clinic offers a non judgmental environment. By experience, I can confidently say that whatever injury or issue I may have will eventually get better (or be completely healed!) when following her advice. I would refer Dr. Beauchamp's services without hesitation. Has helped me tremendously!! I would recommend people to come here for assistance in achieving optimal body mechanics!! Not only does this help the back, but the entire body functions!! All staff are very kind and truly show they care!! Thank you all!! My children and I have visited Dr Natalie for many years now. She has helped me with my severe migraines. the adjustments have also helped my daughter with her eczema which has now disappeared! Dr. Natalie has always gone above and beyond to help my family and accommodate our needs. Many of my friends have gone to her and found the same wonderful results. i have and always will continue to recommend Dr. Natalie!! Both my father and my husband swear by Dr Beauchamp as she has helped them overcome serious pain for different issues and always takes into account the whole person. Fabulous, would and do recommend to everyone. I have seen Dr. Beauchamp the Chiropractor as well as Dr. Robin the physiotherapist. Both are very personable and understanding. They have taken care of my medical conditions with great care and I am most satisfied with the results. The office staff are very capable and friendly and if you come in hobbling they are quite helpful and comforting. I won't go anywhere else. Dr. Nathalie has given me back weeks of my life that were previously spent dealing with severe migraines. After 3 months of weekly visits, my migraines went from 8-10/month to 1-2/month. She is so kind, attentive and truly wants to help you. Thank you, thank you, thank you! I have Fibromyalgia and CREST Scleroderma. In the spring of 2016 I had gone to see my Rheumatologist and was informed at that time that the pain I was experiencing had no cure... there was absolutely nothing more they could do to help me. I went into a deep depression over it. I am in constant pain even though I am on Tylenol and Ibuprofen 4 times a day. I am allergic to almost all narcotic pain killers. I also take muscle relaxers for the fibromyalgia as well. One day last July my mother came home with a coupon from Dr. Nathalie's Clinic. My mother had been seeing her for Sciatica. Since my mother had done so well I decided that there was no way she could possibly make me feel worse and in all probability might actually help me. Anyway long story short, I am still going twice a month and would go even more if I had the money. I feel Great every time I go and see her! After each visit I feel invigorated and energized! Not only that but Dr. Nathalie worked with me to find a payment plan I could afford to pay. I'm on disability and I don't have very much extra money lying around but she cares so much about my well-being that she went above and beyond IMO to see that I got the help I needed. So if there is anyone else out there with health problems AND money problems and you aren't seeking help because of it, then I encourage you to take a leap of faith and go and see her! Excellent friendly service and very competent chiropractors. Very informative on first visit. When I first went to see Dr. Nathalie in November 2015, I didn't believe in Chiropractors and was actually afraid of them due to a past incident with another doctor. Dr. Nathalie made me feel relaxed and after my first visit, I felt relief from my neck pain. I began seeing her regularly for the next 4 months, and I can confidently say that my Fibromyalgia symptoms have decreased. My neck pain is practically gone and my back pain is in infrequent and manageable. Dr. Nathalie is very knowledgeable and truly "listens" to her patients. She is approachable and she truly cares about her patients. The staff is awesome and going to my appointments is always a positive experience. Thank you Dr. Nathalie for making me feel SO much better!!! Disclaimer: The contents of this website are based on the opinions of Dr. Nathalie Beauchamp and the Santé Chiropractic Team, unless otherwise indicated. Information on this website is not intended as medical advice. It should not replace a one-on-one relationship with a qualified health care professional. 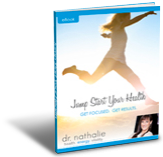 This website is meant to share knowledge and information researched and experienced by Dr. Nathalie and her team. The Santé Chiropractic Team encourages you to make your own health care decisions based on your own research and in partnership with a qualified health care professional. These statements have not been evaluated by the Food and Drug Administration. These products are not intended to diagnose, treat, cure, or prevent any disease.